Launching a new program or service for your organization can be very rewarding. Perhaps you want to offer a new service tailored to new or an expanded number of constituents. It could be a new nutrition program at your health nonprofit or an additional day serving lunch at your soup kitchen. Or maybe your organization is adapting to a changing industry landscape. Nonprofits can actually learn a great deal from for-profit startup companies in these arenas. So, before you get started on your next project, take a look at some lessons learned from companies just getting off the ground. It's easy to get wrapped up in the exciting prospect of launching something new. However, before you start refining your pitch, think about why you are launching a new program or service. If you are launching something new in response to a funding opportunity, make sure you consider all of the challenges before investing time and resources. Meet a specific need. Don't create something just because it seems cool; think about the specific pain point you are trying to address. Cost. Consider not just the cost to your organization, but the cost to your constituents. Resources. Nonprofit organizations have resource constraints; ensure that you will be able to deliver the final product. Competing priorities. Ensure that this project will best meet the needs of those you are trying to serve, especially when weighed against other projects. The above points are true for any startup, but they may be even more important for nonprofit organizations. Nonprofits rely on restricted funding that can prevent them from successfully creating new programs or solutions. Be careful about using new program development to chase funding. Although it can be tempting, funding for a new project may provide you with enough to get started, but not enough to grow the project big enough to meet your goals. Every day we hear about a new and innovative tech startup that is striving to solve the world's problems. With new technology platforms and services launching all the time, it is important for startups to understand how a product will be different from the competition's. For nonprofits, the first step in evaluating a new program is to understand your unique selling proposition. For Target Beneficiaries who Statement of Need or Opportunity. Program Name is a Product Category that Statement of Benefit. Unlike Competitor Category, our program or service Statement of Primary Differentiation. For small nonprofit organizations in Argentina who need technology products. TechSoup's product donation program is a resource that helps organizations fulfill their mission. Unlike purchasing technology products at retail value, our service saves you money that you can use toward your mission. *This exercise was repurposed from the Nonprofit Technology Conference (NTC) 2018 session listed at the end of this post. Once you have assessed the need for what you are offering and defined your unique selling proposition, you may be ready to launch your new program, service, or product — congratulations! However, you don't need to go to market with every single feature and function that you could imagine. Starting with a minimum viable product, or MVP, can be a more effective way to test your new service or program and get user feedback. Using this model, you launch with the most minimal version possible. The key to this approach is to have a good understanding of what the most crucial feature is. For example, maybe your organization wants to create an application that connects people in need of healthy food-to-food banks in their area. The most important feature might be an interactive map that shows where pickup locations are in the user's area and their hours. It would be cool if users could also use the application to message a food bank employee to ask questions. In this case, your organization may choose to launch the application with just the map feature, then get feedback from users about what else they would like to see in the future. Maybe they would like the ability to message employees. On the other hand, maybe what they really need is to be able to find out what the availability of food boxes is at particular locations. Or they may need something else you had not even thought of in your initial roadmapping. 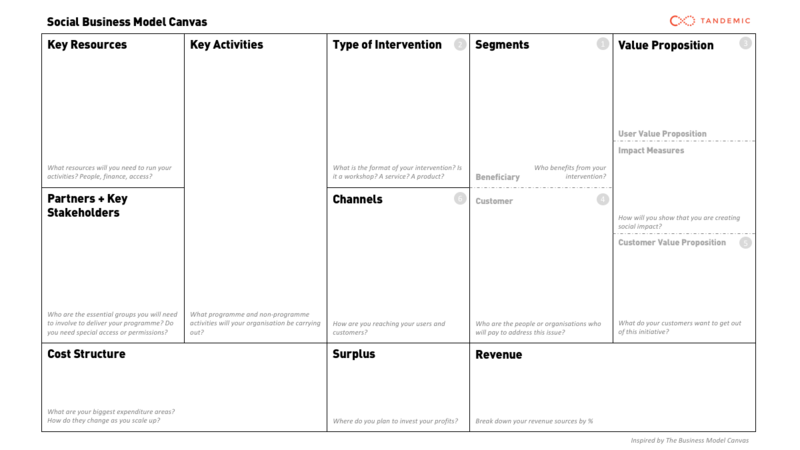 To kickstart the brainstorming process for your MVP, try filling out a social business model canvas. It can help you to start to define the most important features of your new program or service. 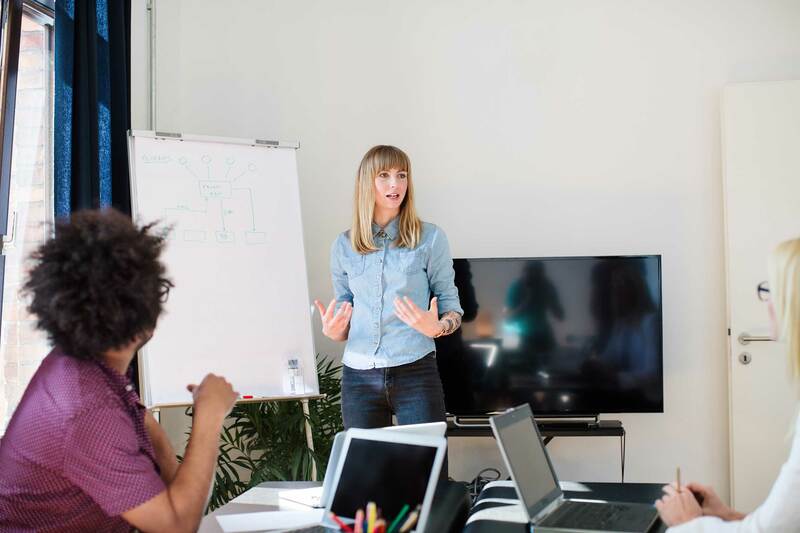 Launching a new program can be exciting, challenging, and buzzworthy, but make sure you clearly understand the need and unique selling proposition before you embark on your next journey. This article was originally published on TechSoup April 26, 2018. Learn more about technology for nonprofits at TechSoup.